1. Your house will look great! Home stagers specialize in creating great first impressions. A buyer should immediately be able to imagine their family and their belongings fitting perfectly into your staged home. Although it may seem like the stager has removed all of the charm that makes the house your home, the goal is to make your house appealing to a broad spectrum of buyers. Before potential buyers even steps foot in your home, it’s likely they will have seen pictures of the space online. High-quality photographs of your staged home may help generate interest and attract buyers to open houses. Staged homes traditionally sell for higher prices. Who doesn't like the sound of that? Home staging does not necessarily add value to your home, but it may help your home stand out amongst the comparables (or “comps”) in a competitive market. Most homeowners would agree that investing a little money in home staging is preferable to a price reduction after the house has been sitting on the market for weeks. 3. Get some packing out of the way. 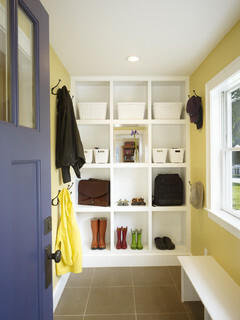 Cleaning and clutter removal is a key part of a successful home staging project. Before your house is officially sold, you will be able to get rid of things that you no longer need and you can pack up some of the belongings you’ll be taking with you to your new home. The moving process can be very a hectic time in your life. It can be very helpful to start early to avoid some of the later stress. While there are some steps you can take to stage your home by yourself, there is really no substitute for the objective eye of a home stager. A home stager can help relieve some of the pressure and stress from the moving experience. When the clutter and mess are gone, you’ll be able to fully enjoy the remaining time in your home. 5. Your house will spend less time on the market. Staged homes typically spend less time on the market. If you’ve already bought a new home and you simply cannot manage two mortgages, a relatively small investment in home staging can help get your old house sold quickly. The longer a house sits on the market, the more likely it is that you will have to lower the list price.